Unsure of what technology to use to fit your needs. Use our one-of-a-kind flow meter wizard to help you find the right unit for you. Of course, you can always get personal support by Contacting Your Rep. Both Clamp On Ultrasonic Flow Meters, Clamp On Doppler Flow Meters, and Area Velocity Meters from Micronics USA. Non-invasive, NO interruption to process, and NO down time while units are installed. 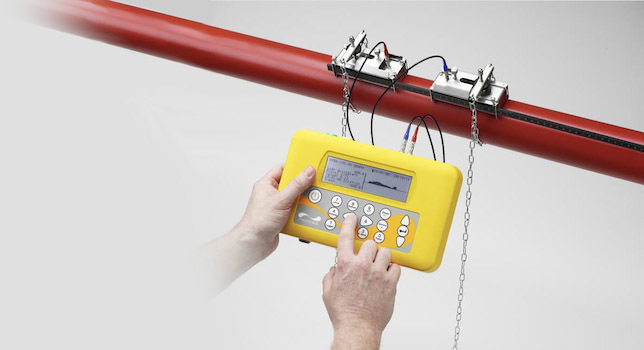 Wide range of portable clamp on ultrasonic flow meters and permanent clamp on ultrasonic flow meters for almost any liquid. Optional waterproof and high temp transducers for most models. Schedule a representative to visit for a demo!